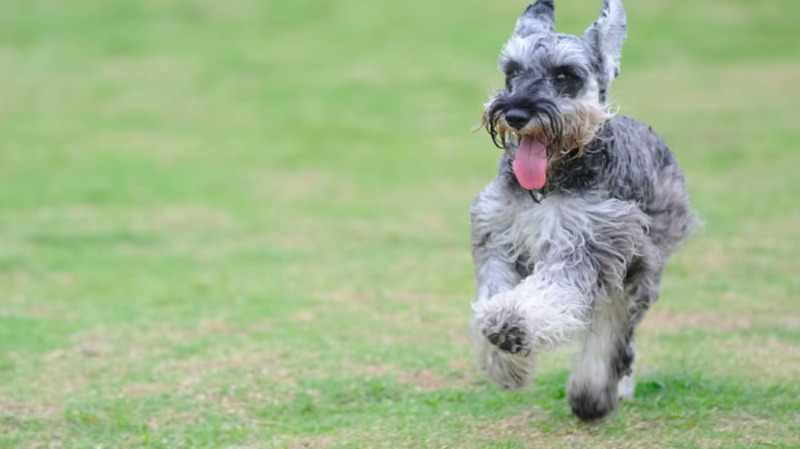 The miniature schnauzer may be small in size, but that doesn’t affect its big personality. Learn more about this tiny but distinguished looking dog. 1. THEY'RE NOT LIKE OTHER TERRIERS. Unlike the rest of the group, schnauzers come from Germany, instead of the British Isles. The terra in terrier means earth, meaning the dogs were bred to burrow underground when hunting small prey. Miniature schnauzers were not specifically bred for this line of work—though they were popular for ratting—so they lacked the aggression their fellow terriers might have exhibited at the time. The happy and friendly dogs have a different upbringing and bloodline than the other terriers, despite similarities in appearance. 2. THE NAME IS GERMAN. 3. THE MUSTACHE ISN'T JUST FOR SHOW. 4. SEVERAL DOGS MAKE UP THE MINIATURE SCHNAUZER. 5. WIRE HAIR KEEPS THE DIRT OFF. 6. THEY HAVE GREAT HEARING. Schnauzers were bred to hunt rats, so they rely on their keen sense of hearing to locate the vermin. Don't expect any disturbances to get past them: They can hear frequencies twice as high as humans. 7. THERE WILL BE SOME NOISE. 8. GERMAN SHEPHERDS MAKE GOOD TEAMMATES FOR THEM. Farmers would sometimes use a miniature schnauzer and a German shepherd as a protective team that could ward of predators and keep livestock safe. The miniature schnauzer’s excellent hearing and loud barking alerted the German shepherd when there was trouble. 9. THERE ARE TWO SIDES TO THEIR PERSONALITY. 10. SENATOR BOB DOLE LOVES HIS MINIATURE SCHNAUZER. Bob and Elizabeth Dole are known for their love of dogs, and this fact was further illustrated when they threw a birthday party for their miniature schnauzer, Leader. The 13-year-old dog hosted 16 other canine friends, who had full run of the apartment. Talk about a barking good time.